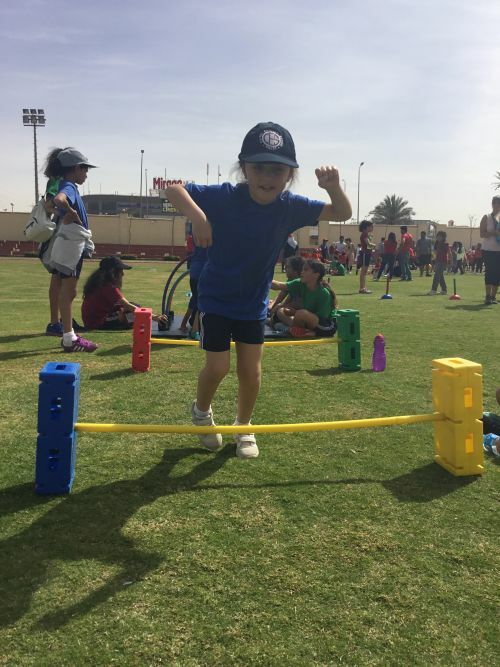 What an exciting week in Foundation Stage! 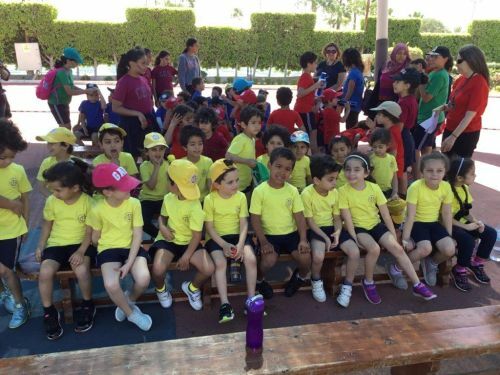 The FS2 and FS1 sports days were held on Wednesday 21st and Thursday 22nd. 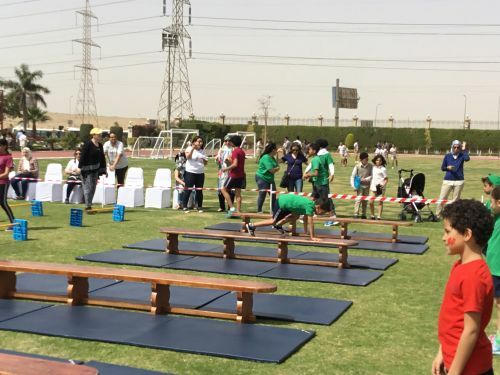 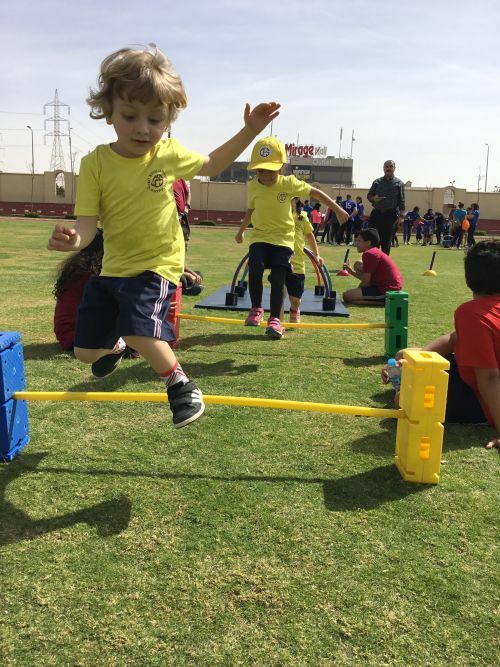 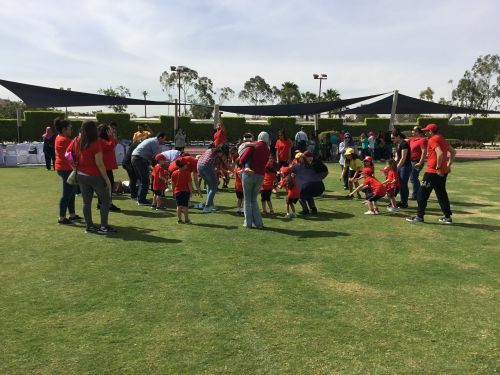 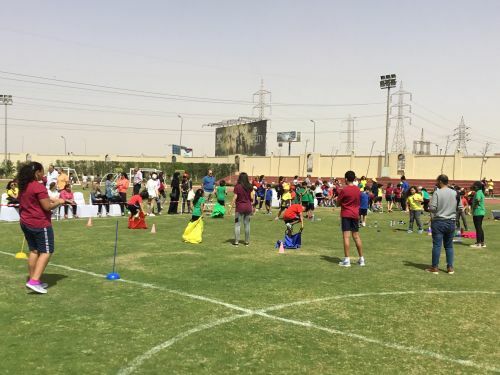 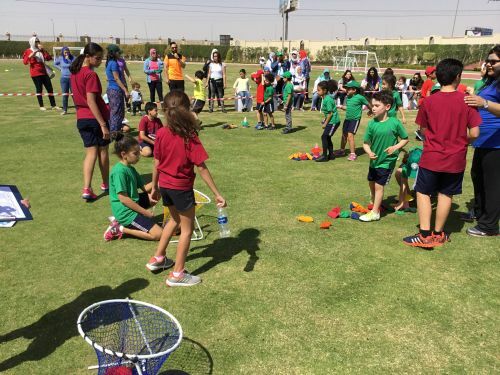 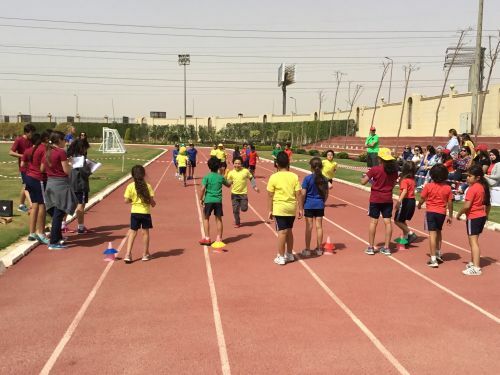 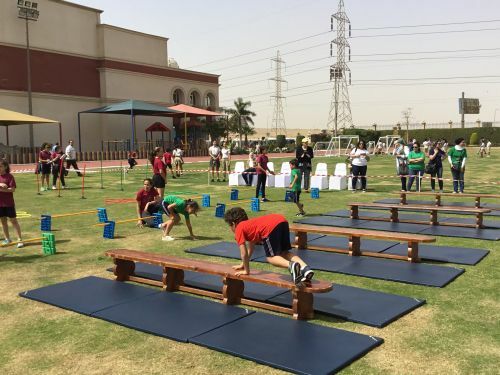 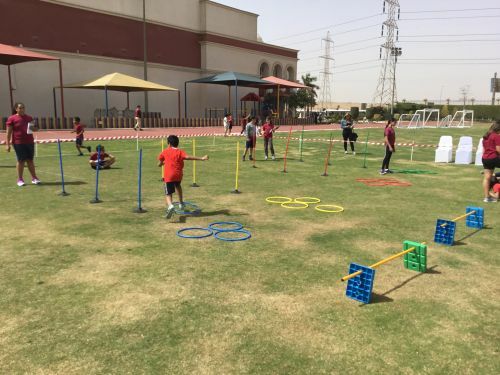 As can be seen in the many pictures, our children were extremely enthusiastic about participating in the numerous exciting activities our P.E department had planned. 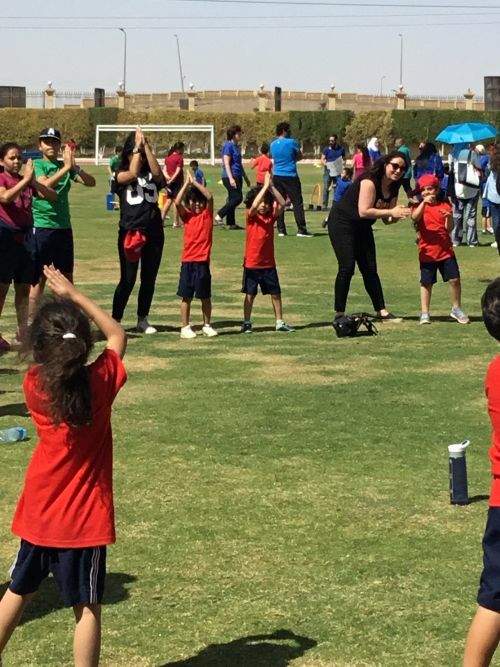 The event began with each year group doing the extremely popular "Waka Waka" dance, which set the tone of enthusiasm and excitement for the rest of the afternoon. 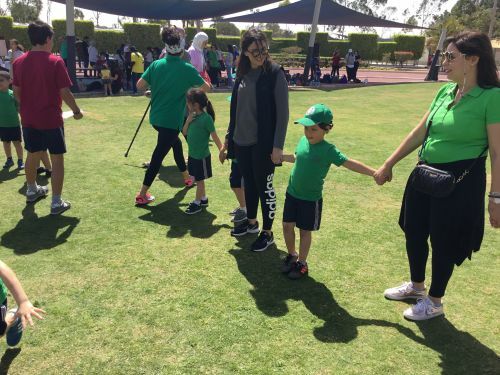 It was wonderful to see parents participating in with their children. 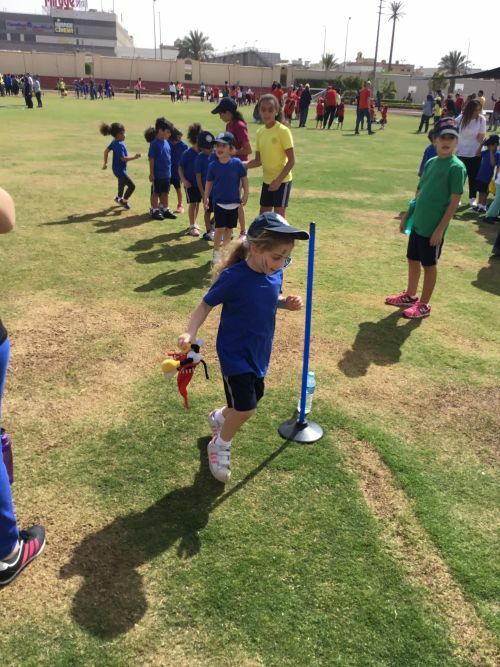 The children were extremely proud to showcase some of their many strengths and skills. 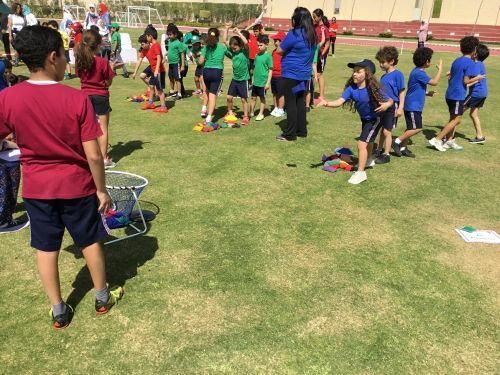 FS children demonstrated great teamwork and leadership throughout the afternoon and showed great support to their classmates in every event. 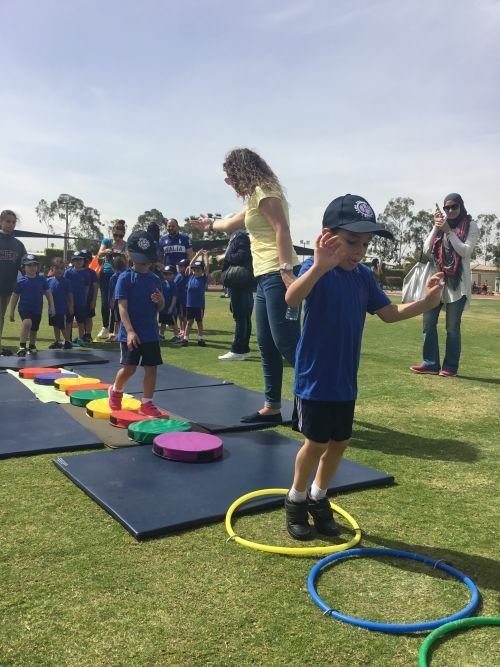 This is a true testament to the CES values of supporting and respecting each other, as every child was encouraged by their peers. 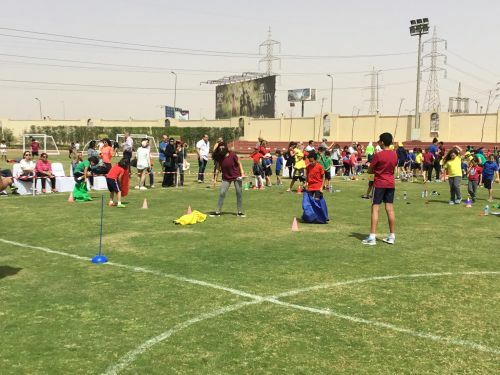 It was a real joy to see children representing their House teams too throughout the afternoon and, although there could only be one winner in each year group, every class represented Cairo English School proudly and had a great day competing and participating. 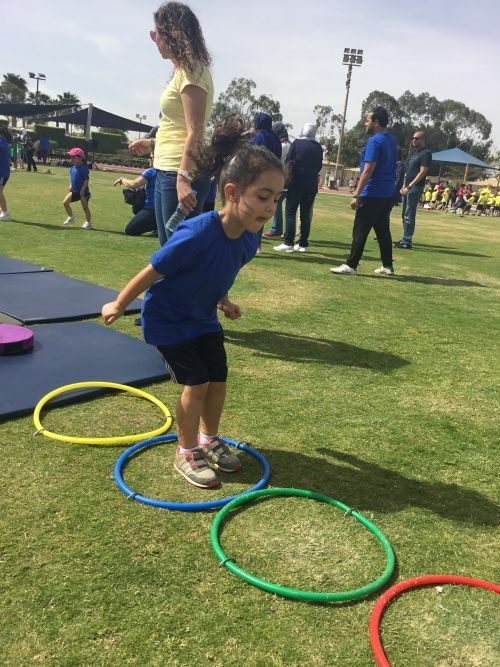 Year 1 and Year 2 Sports Days were great, with lots of parents in attendance. 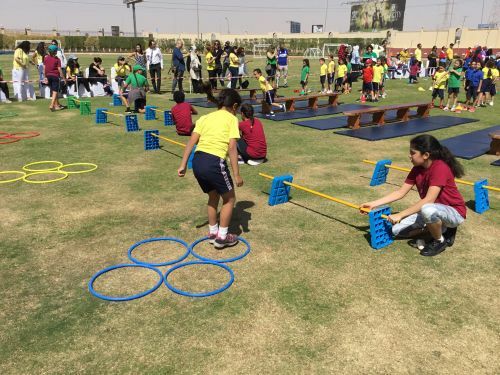 This year children participated in two phases. 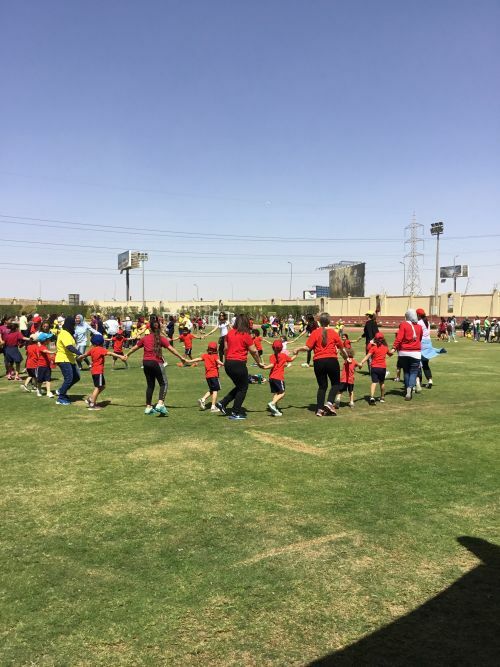 Firstly, in a carousel of events with their classes and then they moved into their house teams: Khufu, Tut, Cleo and Ramses. 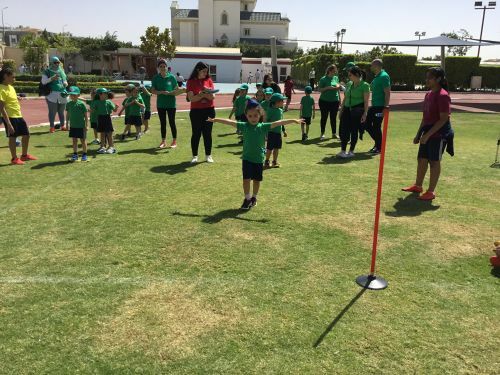 Parents joined in to compete for house points! 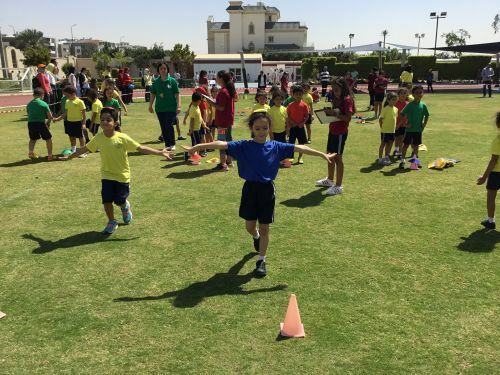 We had a great spirit of positivity and enjoyment. 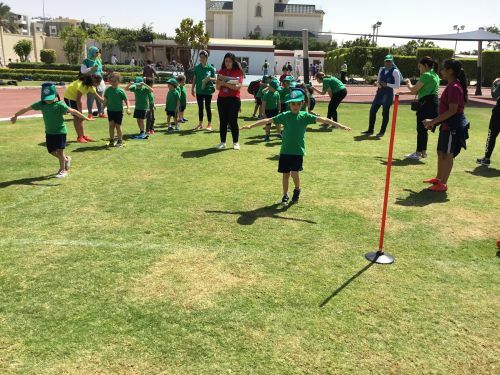 We were very happy to see students tackle some of the more challenging events with skill and concentration - the vault and javelin in Year 2 were a great success! 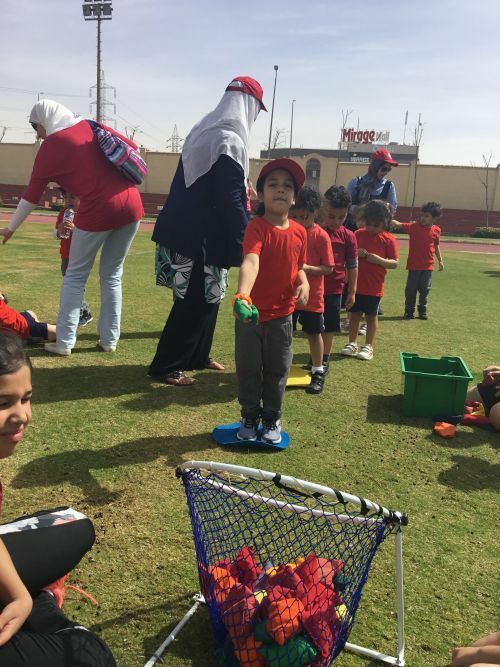 Congratulations to our winners on the day: Year 1 - 1JM and Khufu. 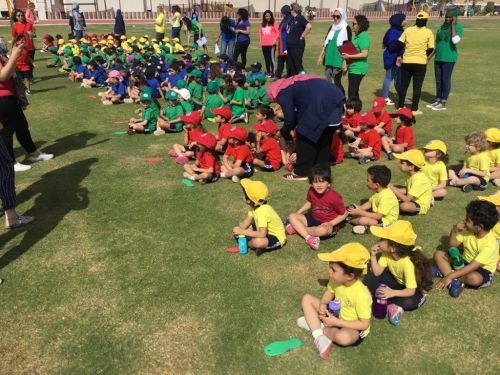 Year 2 - 2MN and Tutankhamun. 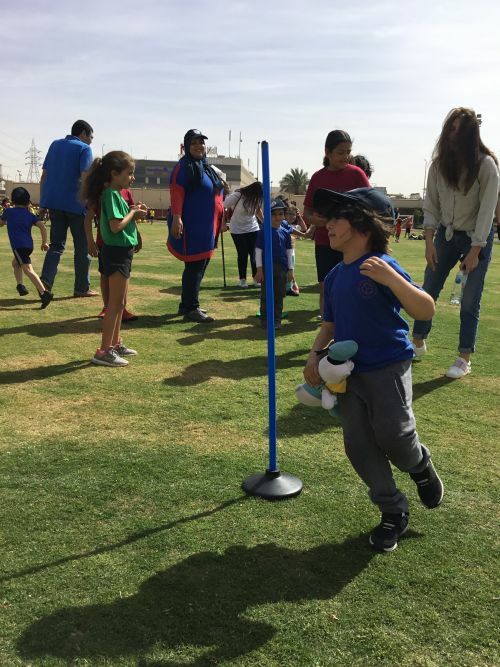 One of the highlights from all these Sporting events, was the enthusiasm and involvement of our parents, especially in the mum's and dad's race! 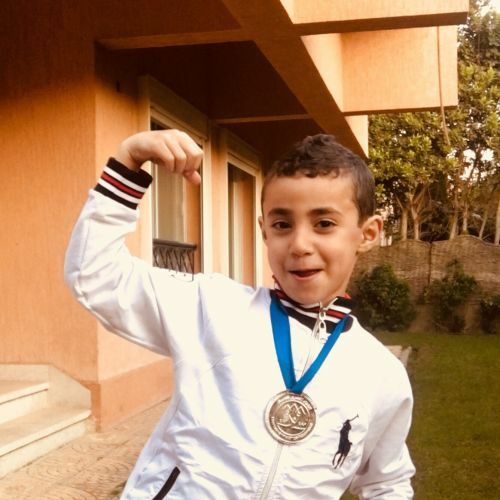 Amr Soliman has won a gold medal and the first place for the second time in row during the Arab Republic of Egypt competition for boys under 7, that was held on Monday the 12th March. 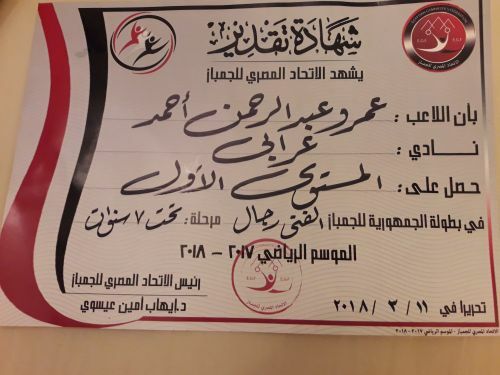 What an amazing feat! 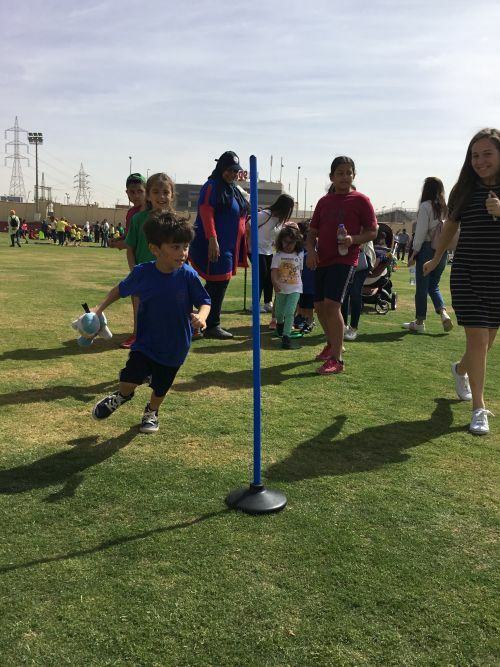 Taking part in that very same competition as Amr, was Youssef Nassef Y1SR, who achieved the silver medal (4 points shy of getting gold). 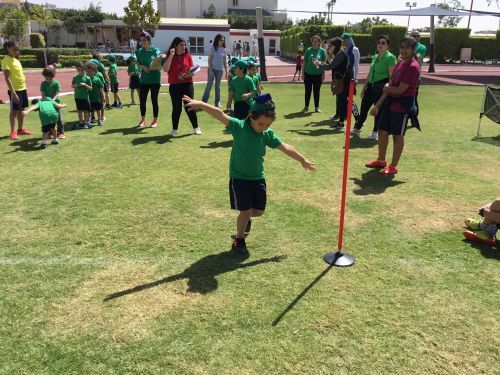 Youssef is still new to this field, so his progress and effort is enormous, well done and super congratulations to both boys, you are amazing! 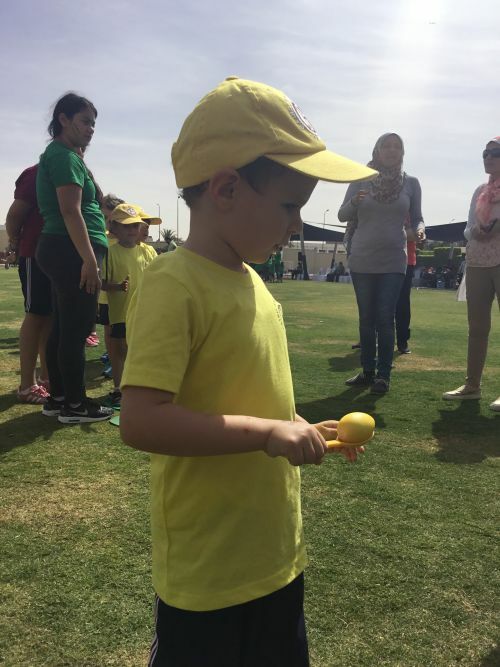 We also want to congratulate Hamza Yehia FS2B, for all the effort he has put into his tennis practice. 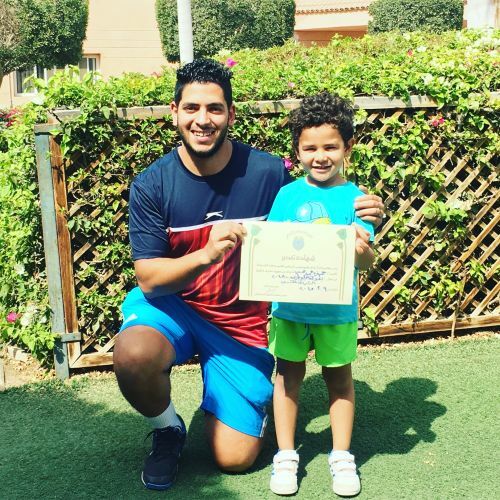 He recently participated in a tennis tournament under the auspices of the Egyptian Federation of Tennis (under 8 years – red ball) at the Heliopolis Sporting Club and won two matches! 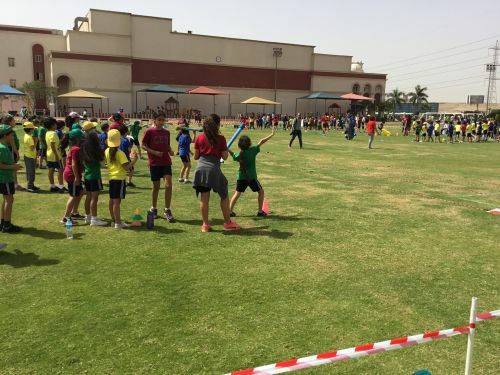 Well done Hamza!